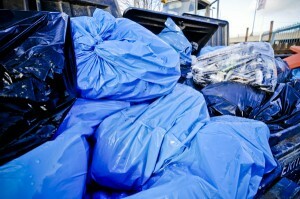 We are the experts when it comes to commercial waste removal in Homerton E9. We help many local businesses with their waste removal needs and we’ve love to help yours too. We have been supplying commercial waste removal Homerton businesses happily recommend for flexibility and convenience for almost fifteen years. And like them we think you’ll like our competitive prices too! We are dedicated to providing the very best, professional service we possibly can to each and every one of our commercial customers. Our aim is to provide a tailored solution that is a perfect fit for your needs and budget. We operate from 7am to 11.30pm seven days a week so we’re always there when you need us. 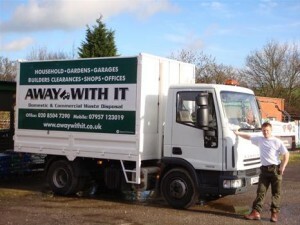 And we’ll remove your waste with the least amount of fuss or disruption to your business. Whether you need a regular kerbside collection or prefer to use our services on an ad-hoc on-demand basis we can offer the ideal package for your business. 80% of the commercial waste we remove from Homerton E9 and the surrounding area will be reused or recycled. We only send the things to land fill which have no use elsewhere – that’s our promise to you. To discuss your requirements for commercial waste removal Homerton just pick up the phone and speak to one of our experienced team on 0208 504 7390 or 07957 123019. They are available to take your call from 7am to 11.30pm seven days a week. They’ll be happy to answer your questions, recommend the most cost effective solution for your business and provide a transparent and competitive quote. Alternatively, you can use our online form to get a same day quote. Just fill in your details and we’ll get back to you the same day.